Jaco Pastorius- for those of you who enjoy jazz music or loves to play Bass and loves to play Jazz I am sure that you have known this name. At least I know that you have heard of him. Being a fan of Jaco is indeed a significant way to enjoy jazz music or to learn Jazz. 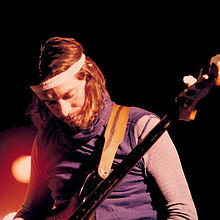 To international Bass players, Jaco is a virtuoso in bass playing style. He has his signature in bass playing. He was born with the name of John Francis Anthony Pastorius the third in Norristown, Pennsylvania, United states. As an American Jazz musician he was acknowledged for his skills playing electric bass. You might have guessed it, he was not born with Jaco Pastorius as his real name. He was born with the name of John Francis Anthony Pastorius III. It was his love and his father to baseball and their admiration to umpire Jocko Conland that made Jaco adopted this name. He changed the spelling of “Jocko” to “Jaco” after the pianist Alex Darqui. Darqui assumed that the spelling of his name was “Jaco" , and Jaco liked it. Jaco’s younger brother, Gregory, gave him the second nick name: ”Mowgli” (yup the character name from The Jungle Book children’s classic). He took this name to make his own music publishing company and established the Mowgli music in 1973 to produce his music. The characteristics of his bass playing were the use of harmonics and the singing quality of his melodies on the fretless bass. Despite of the medical diagnose which announced that he has bipolar disorder in 1982, the man kept on flourishing in his musical brilliance. He died in 1987. Later in 1988 he was inducted into the Down Beat Jazz Hall of fame. He was the only electric bass guitarist, out of the four bass players. Here is one of his piece "The Chicken",which was recorded live in a studio session with John Scofield.